If you’ve developed a severe infection after surgery involving a metal implant, contact Carr & Carr Attorneys immediately at 1-877-392-4878. If you’ve had surgery involving a metal implant — such as a hip replacement or knee replacement — and then developed a serious infection which forced an amputation of your arm or leg, you should learn more about a potentially dangerous medical device called the Bair Hugger warming blanket. During surgery, patients who receive anesthesia require assistance to regulate their body temperature. Hospitals sometimes use a warming device, such as a Bair Hugger warming blanket, to keep patients’ body temperatures at the proper level during the operation. 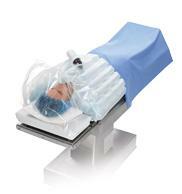 Used during surgery, the Bair Hugger blanket may cause dangerous bacteria to be deposited into the open surgical site of a patient undergoing an operation. The Bair Hugger warming system can circulate bacteria up from underneath the operating table and back into the surgical site where infection can start. Uncontrolled, severe infections can lead to removal of an arm or leg, or even death. In fact, according to a New York Times article, Dr. Scott D. Augustine, the inventor of the Bair Hugger, believes that the air from the device can spread bacteria which is associated with hospital-acquired infections. Obviously, this is dangerous because dangerous bacteria should not be allowed inside a patient’s open surgery site. If you or a loved one has suffered an infection which you think may be associated with the use of the Bair Hugger warming blanket, immediately contact Carr & Carr Attorneys. It is important that you know there is a limited period of time to file a lawsuit to seek damages for injuries caused by medical devices like the Bair Hugger. If you miss that deadline, any case you file will be dismissed and you will recover nothing. Talk with a medical malpractice attorney at Carr & Carr today to learn more about these very important deadlines.